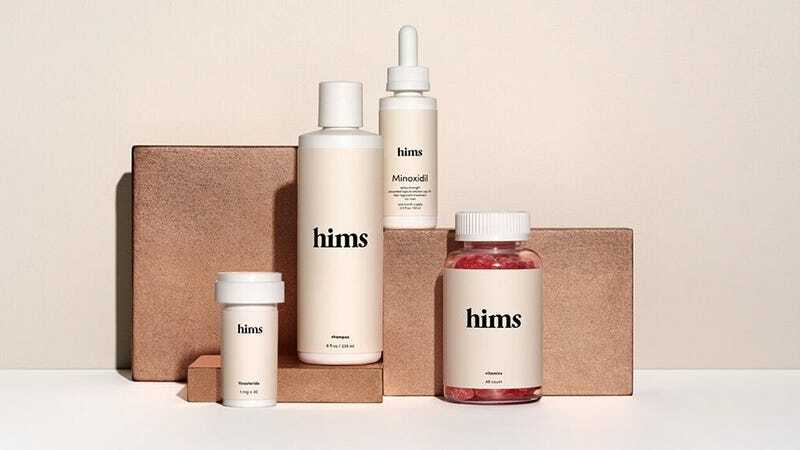 hims connects guys with science-backed prescription and non-prescription hair loss prevention products for a fraction of the price at your standard pharmacy. Get started with their Complete Hair Kit for just $5 (normally $44), complete with Finasteride Pills (30 x 1 mg with prescription) to block DHT and reduce hair loss, Minoxidil Drops (2oz bottle) to promote hair growth, anti-DHT shampoo (8oz bottle) to wash away excess DHT-containing sebum, and Biotin vitamins (30 gummies) to strengthen hair and nails and promote healthy skin. Prescription products require a medical consultation via an online assessment after checkout.